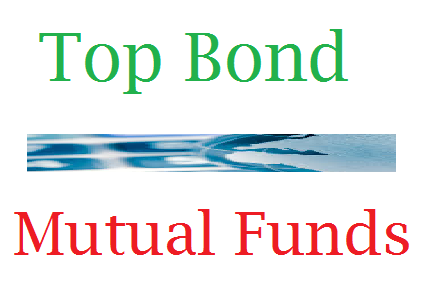 Find best performing short term bond mutual funds 2014. Short term bond fund invests mainly in investment grade U.S. government and U.S. corporate bonds with shorter duration, 1-3 years. This short term bond mutual funds may provide a small yield for investors. While the yield is small, the risk associated with these funds is low as well. Most of the investment is invested in U.S. Treasuries or agency debts, and possibly in corporate debts. From this best performing funds list, you may find each individual fund review. You can find the fund performance, expense ratio, and yield or dividend from the table below. The list is sorted based on its year to date return in 2014 (up to December 29, 2014). This BlackRock US Mortgage Portfolio Fund objective is to provide high total return. This fixed income fund invests mainly in mortgage-related securities. With total assets of $173 million, it has a yield of 2.16%. The fund managers are Akiva Dickstein and Matthew Kraeger. Its annual expense fee is 0.93%. Morningstar has ranked this top performing short term bond mutual fund with 5 star rating. In 2014, it has YTD return of 7.25%. It has a 3 year annualized return of 4.95%. Top 3 sectors are Agency MBS Pass-Through (65.75%), Non-Agency Residential MBS (9.85%), and Asset-Backed (5.8%). This Eaton Vance Short Duration Strategic Income Fund is another 5 star rating. It has total assets of $1.9 billion. The class A fund has a sales load of 2.25%. This bond fund has a high yield of 4.65%. The fund managers are Eric A. Stein and Andrew Szczurowski. In 2014, it has year-to-date return of 5%. As another 5 star rated fund, Frost Total Return Bond Fund is popular with investors. The total net assets are $1.4 billion. Its expense fee is 0.75%. This best performing short term bond fund is managed by Jeffery Elswick. The average effective maturity is 5.76 years.